Dr. Charles Brown was raised in Houston. He earned a Bachelor of Science degree in Zoology from Texas A&M University in 1978. 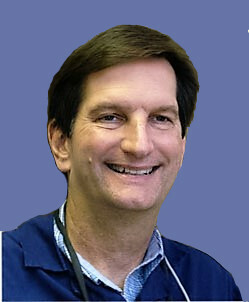 He received his Doctor of Dental Surgery Degree from the University of Texas Dental Branch in Houston in 1981. Dr. Brown moved to Kerrville in 1983 and enjoys providing a wide spectrum of dental services.He is a member of the American Dental Association, Texas Dental Associates, Heart of Texas Dental Society, and The Academy of General Dentistry. For 35 years we have treated patients from 2 to 102. At times, we have had four generations of the same family as patients." When away from his practice, Dr. Brown enjoys traveling, motorcycling, tinkering with antique cars, and running.